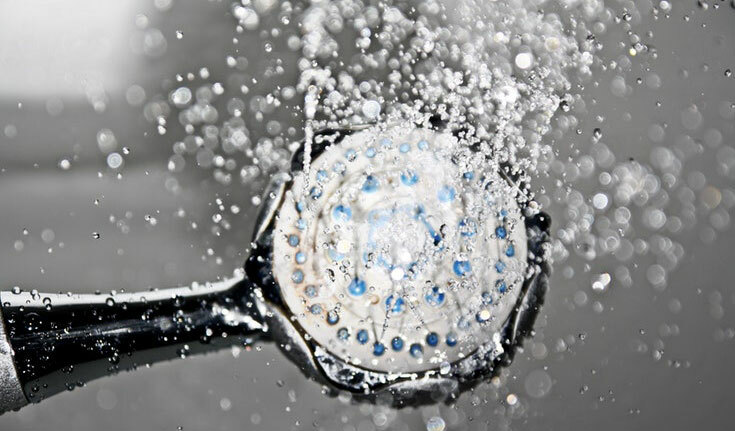 Home » Healthy Sleep » Can A Shower Before Bed Help You Sleep? – Cold or Hot? Can A Shower Before Bed Help You Sleep? – Cold or Hot? You’ve heard of taking a shower to wake yourself up, but did you know that a shower can help improve your sleep, too? To get the full benefits of more restful sleep, we do have tips and tricks so that you’ll get the most out of the experience. For example, you should avoid overly hot or cold showers (we’ll explain why in a moment). And, there’s even an ideal time at night to bathe, which may come as a surprise. You may also be wondering if it makes a difference whether you take a shower or a bath. It turns out that both are helpful! So, if you’re more of a bath person, feel free to indulge in some bubbles and a good book before you go to bed, and you’ll probably sleep more peacefully. Will a Bedtime Shower Help Me Sleep? Here’s a fun fact: our bodies are controlled by a 24-hour master clock called a circadian rhythm. This clock tells us when it’s time to wake up, time for bed, and even when to eat. It’s responsible for hormone levels, bodily functions, and more. At night, it sends signals to our body that it’s time for bed. One way it does this is by lowering our core temperature by about a degree. So, how does this relate to showering? When you take a warm bath or shower, you’ll aid in the process of regulating the ideal temperature for sleep. While you may get a temporary spike when you’re in the warm water, your body will cool down as soon as you leave the water and towel off. If your shower was too hot though, you might need to give yourself about 60 to 90 minutes to cool down after. For all you overachievers out there, you may think that a cold shower will speed along the process of cooling down, and that can be true up to a point. Cold showers have a stimulating effect, so reserve your ice baths for the morning hours. However, if you opt for a water temperature on the cooler end of the spectrum, and you’ll still get the benefits. Other than getting a massage or enjoying intimate time with a partner, there’s nothing more relaxing than a warm bath at night. It relaxes sore muscles, eases the pain in joints, and improves oxygen and blood flow. Plus, there’s a psychological benefit to washing off all the stress and trouble of the day and crawling into bed with crisp sheets and a clean body. When immersed in cold water, the body naturally tries to warm up. This process speeds up the metabolism, which activates the immune system. The result is a spike in white blood cell count. White blood cells are what our body uses to fight off bacterial and viral attacks, so having more of these will help! As you can imagine, dousing yourself in cold water makes you alert! Though this may seem like a counterintuitive thing to do before bed, it could be helpful if you need a last burst of energy to power through some final items on your to-do list. Then, when your head hits the pillow, you’ll be stress-free, knowing that you’ve accomplished the biggest tasks on your agenda. Because you’ve triggered your immune system, you’re better prepared to fight off anything that comes your way. An isolated cold shower helps you battle what you’ve already got, and when done daily, you’ll be better equipped to handle future infections. While the thought of being cold sounds depressing, it can have the opposite effect in the shower. It activates the sympathetic nervous system, which is responsible for the “fight or flight” response. The result is a flood of beta-endorphin and noradrenaline to the brain, which has a natural and drug-free antidepressant effect. Most of us have a couple of extra pounds in we’d be happy to shed. By bathing in cold water, the body adapts by creating brown fat cells for warmth. These cells burn extra energy and encourage a slimming effect. When you’re under a stream of freezing water, you’re probably not thinking of Sally at work who sent that passive aggressive email or Susan, the professional mom-shamer. It’s more likely that you’re thinking about your chattering teeth and looking forward to wrapping yourself up in a warm towel. You’ll also likely find that as you’re toweling off, you feel accomplished and invigorated. You just did a fantastic feat! It constricts blood vessels and tightens pores. The result is a noticeable decrease in puffiness and redness. It boosts circulation, which provides a radiant, healthy glow. Unless you’ve got a mop on the top of your head, you’re probably all ears when it comes to reducing hair loss! Cold showers work to lock in moisture, flatten out the cuticles and prevent breakage. So, not only does it help prevent hair loss, the hair you keep will be shinier and healthier, too! Keep the water temperature between 96 and 105 degrees and let the water flow over areas of your body that are stiff and sore. If you don’t have specific soreness, enjoy the stream and try some neck and shoulder rolls to loosen up all over. The warmth and steam naturally lower body tension. If there’s one area, in particular, that feels tense, allow the water to hit there the longest. If you have pressure building up in your head, a warm bath may be exactly what you need. Not only does it relax you and improve circulation, if you’ve taken anything for the pain, then the increase in blood flow can allow it to take effect quicker. Just five minutes in hot water can reduce inflammation and stimulate healing. Again, it comes down to the overall circulatory benefits of the warmth. Have you ever noticed that you solve problems and come up with creative solutions while bathing? Showering and bathing are ideal for relieving anxiety and coming up with ways to fix challenges that might have seemed insurmountable. The heat and steam will clear out your sinuses and make breathing a whole lot easier! If you’ve ever tried washing greasy dishes with cold water, you probably noticed that the grease didn’t budge. It’s the same with your skin. The hot water helps to cleanse away impurities that won’t go away with cold water alone. 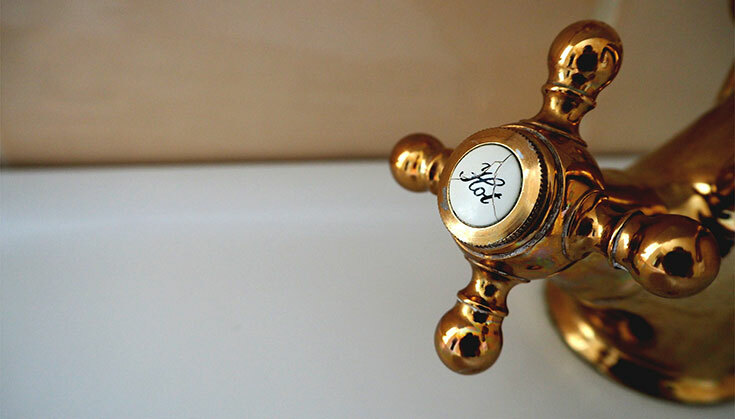 Hot water and steam work to open up your pores, so it’s easier to clean out all the dirt from your day. When you’re done washing your face and body, switch the temperature to cool for a brief rinse to close the pores afterward. Showers often have an invigorating effect the moment you’re finished, so make sure you take a few minutes afterward to enjoy a nighttime ritual like a cup of tea, a chapter from a good book or a skincare routine to prepare yourself for bed. Can it benefit insomnia sufferers? Yes, definitely! For people suffering from insomnia, a shower or bath can benefit by allowing them to relax and prepare the mind and body for bed. Try adding lavender essential oils to your bathing routine, which are proven to put you in a relaxed state and help you fall asleep. Or, get a diffuser and use the lavender for aromatherapy. Showering is something that (almost) everyone does daily, and so it’s an easy-to-implement solution to improving your sleep. If you’re conscious of water usage and don’t want to double up on your baths or showers, try switching up your routine and bathe at night instead of first thing in the morning. You may find that you prefer it! What’s the Ideal Room Temperature for Sleeping At Night? Is Tart Cherry Juice Good For Sleep? – Insomnia Buster? What Are The Best Teas To Help You Beat Insomnia? 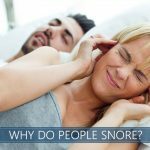 What Causes People to Snore? How Can You Treat it? Is it Really Bad to Fall Asleep with the TV On?